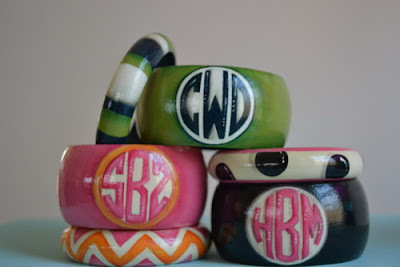 Preppy Paper Girl: Hand painted Monogrammed Bangle Sets!!! Hand painted Monogrammed Bangle Sets!!! Heads up girls! 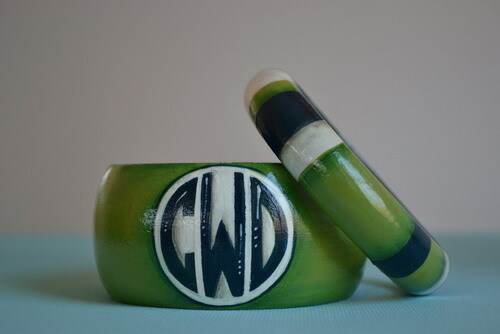 Arm candy just got better!!! 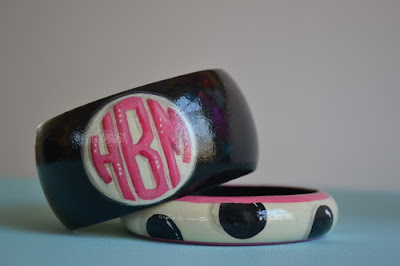 Check out these ADORABLE new bangles!!! 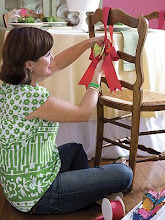 I am so excited to introduce them to my product line!! 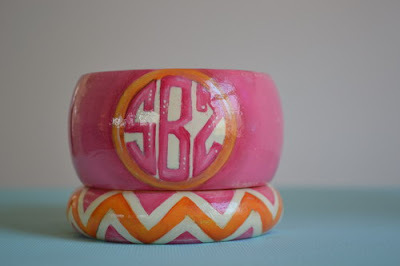 They are custom hand painted, monogrammed and available in 8 different color combinations!!! You also get to chose the pattern of the smaller bangle ... dot, stripe or chevron!!! The cuteness factor just goes on and on!!! The bangle sets are $48 and are drop shipped to you for $8. 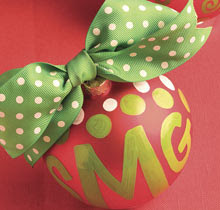 Each set is hand painted once your order is placed so please allow 4 weeks for delivery! This item is not available for RUSH DELIVERY! 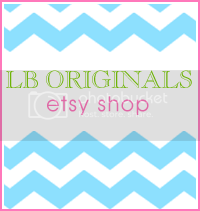 To place your order contact me at lboriginals@gmail.com!!! Your hsop is the cutest!!! I will definitely talk about it on my blog soon!